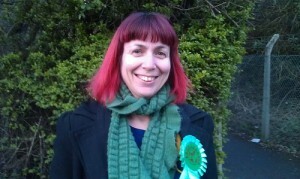 Katie Smith is standing for election as Councillor in Earlswood & Whitebushes on 3 May 2012. Katie is a digital strategist with more than ten years experience in the public and not-for-profit sectors. Most recently she was Head of Digital Media at Macmillan Cancer Support, where she was responsible for all their online services including the UK’s biggest online community for people affected by cancer. Before that, Katie managed the websites for 10 Downing Street and the Home Office. While at the Home Office, she led the development of the first immigration department website, and at No 10 she was responsible for the development of the original award-winning e-Petitions service. Katie is married and mum to one teenager. She says, “I was born in Redhill and have lived in the area for most of my life. “I believe our town, and the community it serves, deserve better from our council, and I want to make sure that commercial interests are properly balanced against the real needs of local people. I am strongly against development on green belt. Particularly in Salfords. This area of land is often a flood plain and building on it is unacceptable for many reasons. This area is already built up, particularly Redhill, Crawley, Horley and so on. Who is the councillor for Whitebushes and Earlswood and what is your view on this. I am trying to find the right person whom I can support who shares my views on this appalling matter. 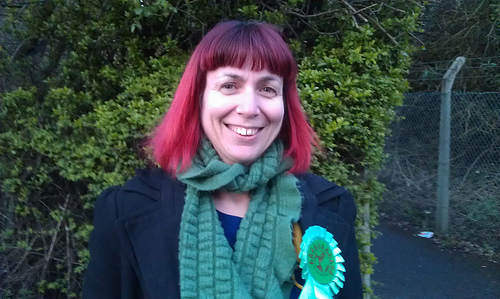 We agree – we are strongly against allowing development on the Green Belt. The proposal for Salfords is a speculative development by a developer which would not be allowed under present policy. The Green Councillors in Redhill East have been leading the campaign to challenge these plans, submitting detailed objections to the consultations, and raising awareness among residents and councillors alike. The Councillors for Earlswood & Whitebushes are all Conservatives: Cllrs Thomson, Renton and Durrant, and you can find their details on the Council website. Thanks for commenting and please stay in touch if there is anything we can help with. Do you know why there is a temporary closure on Green Lane in Whitebushes coming up from May? I know the farmer has applied for planning permission on green belt previously. I cannot find any information? Reference Byway Open to All Traffic No. 401 (Salfords and Sidlow) Temporary Closure dated 26/02/2013. No we don’t know – will investigate and report back.